In spite of the many caveats about planting Fennel in one’s yard, Fennel is actually pretty low maintenance and demands little attention once planted. It can grow in moderately fertile, chalky soil, and requires little watering or feeding. Many of the warnings relate to planting fennel near certain vegetables and herbs. However, if you are not vegetable gardening, having Fennel in your yard shouldn’t be a problem. And, if you are vegetable gardening, then just relegate the fennel to another area of your yard away from the garden. Types. Florence Fennel (or finocchio) doesn’t grow as tall as other species and isn’t as annoyingly prolific. It has the added advantage of forming an oval, bulb-like structure just above the ground that is a most excellent vegetable for your fall and winter table. 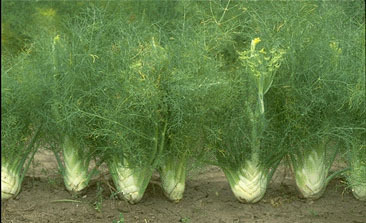 Florence fennel is grown primarily for its bulbous base and leaf stalks, which are used as vegetables. Fennel is a stocky plant, which can grow to 24 inches tall and looks something like celery with fleshy stalks and feathery leaves. 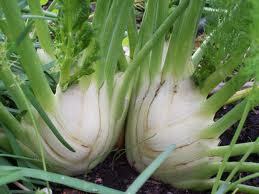 Florence fennel plants have broad leaf-bases, or bulbs, which comprise the vegetable portion of the plant. There are several cultivars of Florence: Zefa Fino matures in just 65 days, and produces the highest weight bulbs of firm, white highly aromatic flesh; Trieste, another excellent choice matures in 90 days. 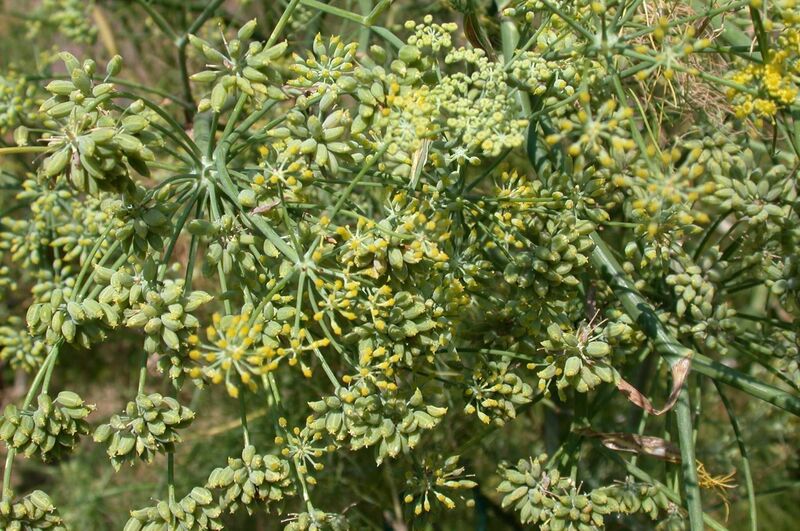 Sweet Fennel is a taller cultivar grown for its leaves and seeds, which are used as herbal seasonings. 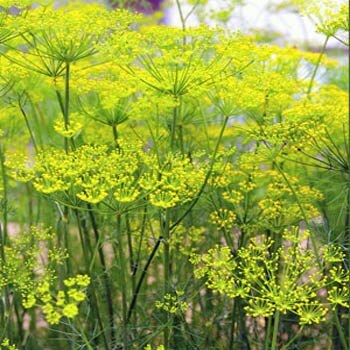 Fennel produces a flat-topped cluster of small, golden flowers. Both Florence fennel and common fennel are members of the parsley family. Since Fennel will come back each year, plan for a somewhat permanent location for your fennel. Grow fennel in full sun. Plant fennel in well-drained soil, rich in organic matter. Prepare the bed in advance by working in aged compost. Fennel prefers a soil pH of 5.5 to 6.8. Before you plant, dig the soil to loosen it up and add some compost for extra nutrients. Although many gardening sites tell you to add sand to heavy or clay soils for extra drainage, I am telling you to skip it. Current research is trending toward planting into the natural site so that the plant will better adapt to the soil. When to Plant. Florence fennel is a cool-weather perennial grown as an annual. Fennel can be sown in the garden as early as 2 to 3 weeks before the average last frost date in spring. Seeds germinate best at 60°F. Fennel will tolerate heat and cold but does best when it comes to maturity in cool weather. Fennel requires 90 to 115 frost-free days to reach harvest. For an autumn crop sow fennel in mid- to late-summer. Seeds. 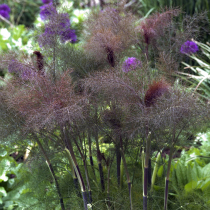 If you intend to harvest the seeds only, then keep fennel on the dry side; the soil should be evenly moist but not wet. Dry weather will encourage the plant to go to seed, which will ruin the bulb but is necessary for a seed harvest. Bulbs. However, if your intention is to harvest the bulb, then once the bulbs are growing, water your fennel frequently so they don’t dry out. Mulch to retain soil moisture in hot regions. Side dress fennel with aged compost at mid-season. Give your fennel patch a fertilizer feeding each year in the spring with a standard fertilizer formula, or an addition of fresh compost. Pests and Diseases. Fennel may be attacked by the parsley caterpillar. Remove it by hand. You might also sometimes find aphids or small whiteflies on the leaves, but they are seldom a serious problem. The wonderful thing about Fennel is that it attracts ladybugs (Bronze fennel is the preferred host plant for swallowtail butterflies) which keep the aphids at bay. Consider planting Fennel next to your roses. Generally, fennel has no other serious pest problems and no serious disease problems. The worst problem with Fennel is root rot, which will damage the plants if they sit with wet roots for too long; so, no overwatering. Seed/Sprigs. Sweet/Common Fennel sprigs can be cut for flavoring once the plant is established. Harvesting fennel seeds is done in the fall when the flowers have turned brown, and they should be left to dry on the plant. Be careful when you go to collect the seeds as they come loose very easily. A bag or bowl under each flower is a good idea so none are lost. Because fennel goes to seed easily and the seeds will spread, you should try to collect all the seeds even if you don’t actually need them all. Otherwise, you will have fennel growing all over your yard come next spring. Bulb. Fennel’s bulbous stalk can be harvested when it is 3 inches or more in diameter. If you leave it to grow larger, the plant will likely bolt to seed and the taste of the bulb will almost immediately become bitter. The bulb can survive a frost or two, so there needn’t be any rush to harvest your fennel when the cold weather arrives. Cut the whole stalk like celery just below the point where individual stalks join together. Cut leaves as needed once they have reached 18 inches tall. Florence fennel will be ready for harvest 90 to 115 days after sowing. Companion Plants. Mints and members of the mint family. Plant fennel in the landscape, away from a vegetable garden or herb garden, if you have them. Varieties. Zefa Fino, Rudy, and Trieste have large, flavorful bulbs. Zones. Sunset Zones, perennial in 2B, 3-11, 14-24, 29-41, H1, H2; winter annual in desert zones 12 and 13. ← Fennel Doesn’t Always Play Nice – or, Does It. Oh my goodness, it’s beautiful when growing! Im now not certain where you’re getting your information, but good topic. I must spend some time finding out more or figuring out more. Thank you for fantastic info I was looking for this information for my mission. Informative post – thank you! Just the info I was looking for in my quest for bulb fennel.